Jagex Games Studio, has announced the plans for its second real-world RuneFest celebration. Building on the success of last years incredible event coupled with the celebration surrounding RuneScapes tenth anniversary, RuneFest 2011 is set to be even bigger, better and longer than last years inaugural event to allow fans to completely immerse themselves in the experience and live RuneScape for a whole weekend. 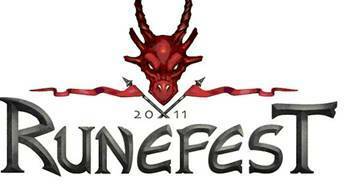 RuneFest 2011 will take place on Saturday 29th and Sunday 30th October, at the Old Billingsgate in central London. Each floor will be themed and feature an array of entertainment guaranteed to satisfy even the most ardent RuneScape fan including many of the popular activities from last years event, such as the insider sessions, developer meet-and-greet sessions and the community management gaming zone, plus a host of new features for 2011 including an exclusive late night Party. RuneFest celebrates the entire worldwide RuneScape community; bringing the RuneScape universe to life, including huge themed areas for players to experience real-world RuneScape activities. This years event is of particular significance as RuneScape celebrates its tenth anniversary and many of the activities, talks and events will be themed to celebrate the last decade of development of this hugely popular game.